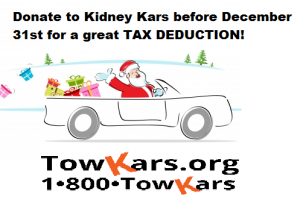 Donate your car to Kidney Kars before December 31st for a great 2014 tax deduction! 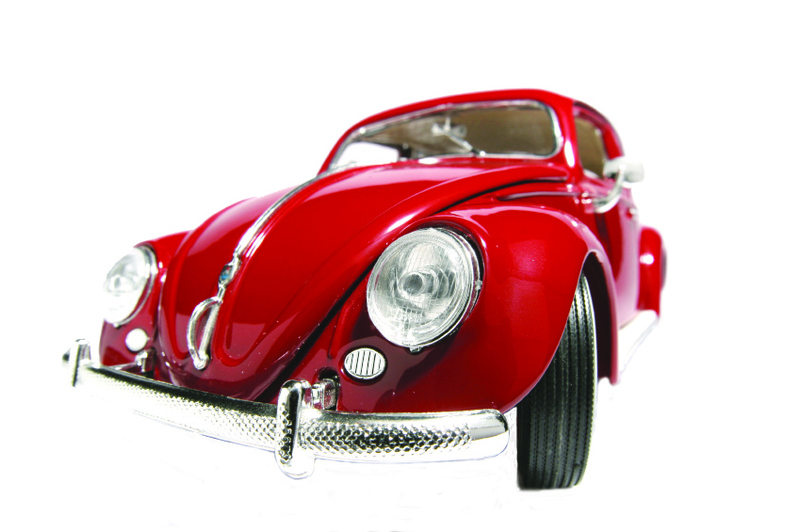 Give yourself a tax deduction this Christmas for donating your car to the National Kidney Foundation of Utah & Idaho’s Kidney Kars program. Donating to www.towKars.org before December 31st will get you a great 2014 tax deduction; towing is always free and donations benefit over 3,000 Utah & Idaho dialysis and kidney transplant patients, fund local medical research and free kidney screenings. 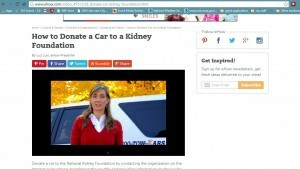 https://www.towkars.org/wp-content/uploads/2018/02/towkars-car-donation-logo-300x165-300x165.png 0 0 kidneyadmin https://www.towkars.org/wp-content/uploads/2018/02/towkars-car-donation-logo-300x165-300x165.png kidneyadmin2014-12-15 13:59:442014-12-15 13:59:44Donate your car to Kidney Kars before December 31st for a great 2014 tax deduction! 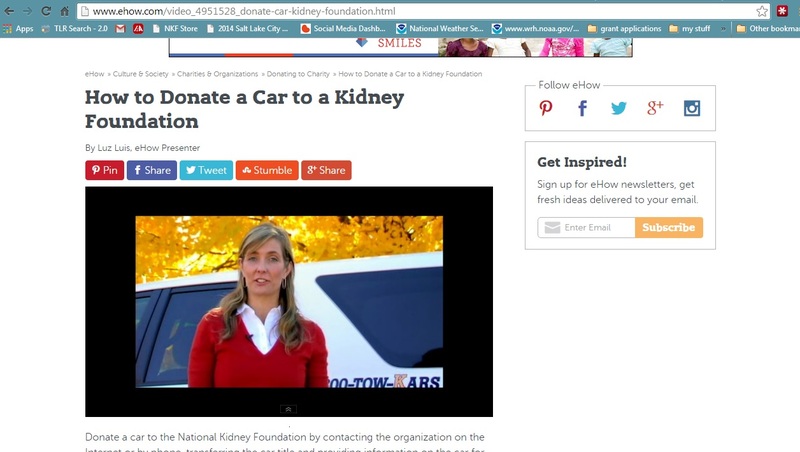 A local Utah videographer called us one morning and asked if the National Kidney Foundation of Utah & Idaho’s Kidney Kars program would do about 20 of the selected “Charity Car Donation” topics he’d pulled off the wire. He allowed us to do two that were specific to the Kidney Kars (Utah and Idaho www.towkars.org) and also for the National Kidney Cars program. It’s 2014 and we are still going strong. Utah and Idaho has been very generous to Kidney Kars and we continue to receive about 5,000 Kidney Kars donations a year. If you want to make your car a Kidney Kar, a car that saves lives call us at (801) 226-5111 or go online www.towkars.org Towing is always free, and Kidney Kars donations make great tax deductions! It really is December. It’s that time of year again. If you’re smart, instead of spending a ton of money this month consider saving a lot of money this month on you taxes by donating your car to the Kidney Kars program (National Kidney Foundation of Utah & Idaho). When you donate locally in Utah & Idaho you get a better tax deduction, free towing and the donation stays in our state to benefit local kidney dialysis and transplant patients. So keep your Kidney Kars donation local and donate online at www.towkars.org or call us at 1-800-tow-Kars.